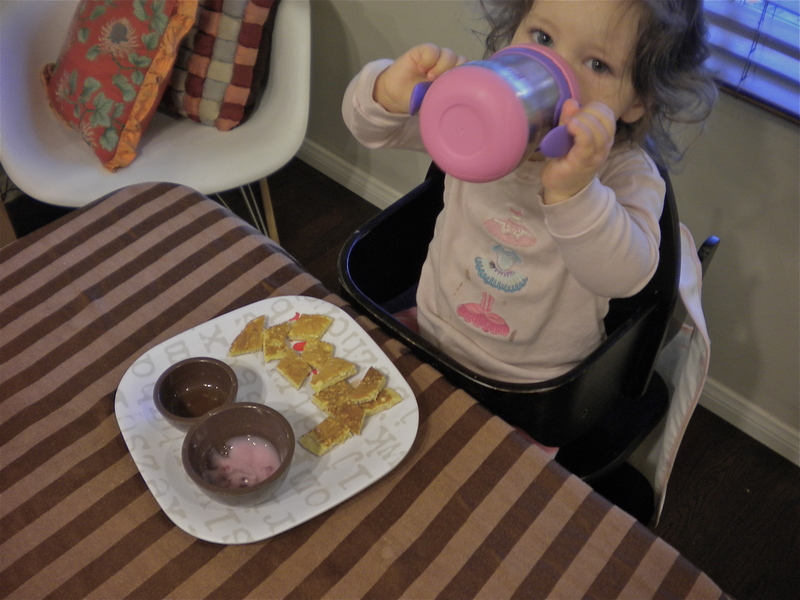 We have a "pancakes on rainy days" tradition in our house, and it's one of my favorites! We recently upgraded our recipe to buckwheat, and it's filled with wholesome fluffy deliciousness! Using a bowl with a spout, start with the dry ingredients, whisk in the eggs, sugar, milk, and oil. Heat up a griddle or skillet with minimal oil and start flipping! After being married for a few years, and making stacks and stacks of Sunday-morning-basketball pancakes for the guys, I figured out that the absolute key to fluffy pancakes is baking soda! You must, must use baking soda. The milk reacts to the soda, bubbles, and that's what yields all the perfect pancake fluffiness. In order to make it a complete meal for Freida (and ourselves!) I often serve pancakes with yogurt in addition to the obvious maple syrup. I always buy low-fat plain yogurt and sweeten/flavor it on demand. You wouldn't believe the amount of extra sugar and additives that can be found in flavored yogurt... In one company's swiss strawberry singles you can even spot red food coloring in the ingredients!! These buckwheat flapjacks are really delicious paired with boysenberry yogurt. 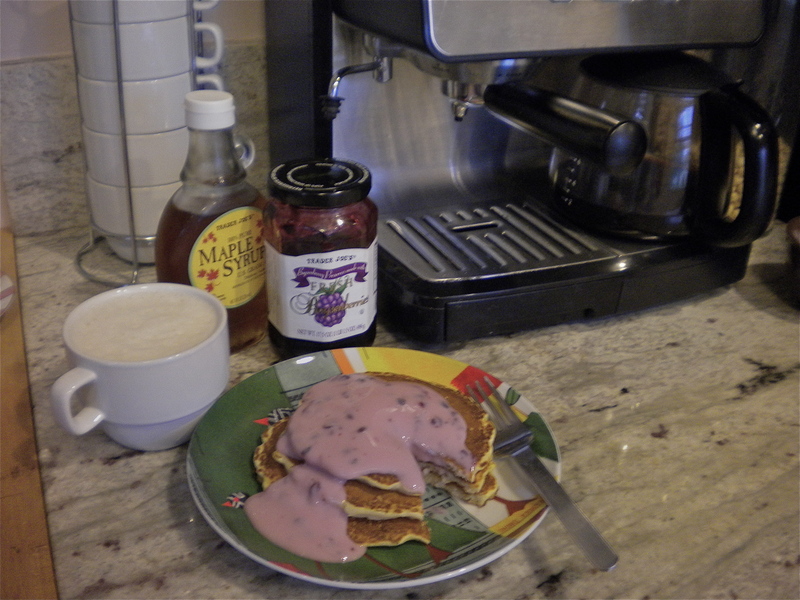 I drizzled in some maple syrup, and added a teaspoon of natural boysenberry fruit preserves to about 1 cup of yogurt. Kids love dipping options, and we should be able to feel good about what they are dunking! P.S. Wouldn't this "pancake pen" be fun? ?